Our hotel accommodates 36 rooms and a total of 72 beds. Each room with telephone, safe, internet, satellite TV, shower/WC and balcony. In addition, we offer a sauna and a number of convention rooms with cutting-edge seminar technology. Family Trupp warmly welcomes you! Zimmer war ok hätte etwas grösser sein können , zum schlafen reicht es , ordentlich und rein war es und das ist wichtig für mich . Werde sicher wieder kommen zu einem kurz Urlaub . ... erwähnen. Die Mahlzeiten waren mit so viel Liebe angerichtet, das Frühstück so abwechslungsreich-ein großes Lob an alle. 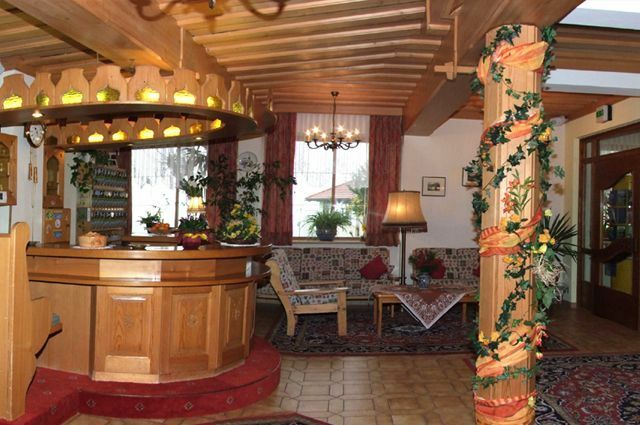 Hotel Landhof Simeter - Excellent cuisine and a quiet and sunny location near Lake Millstatt! We offer holidays in a friendly and cozy atmosphere you will always remember! in the surroundings of Lake Millstatt! Thanks to our favorable location, you may choose from a number of ski areas, all of which are within easy reach! There is a total of 400 km of ski runs, a wide variety of uphill facilities and cozy lodges and mountain restaurants. Off-piste activities include cross-country skiing, ice skating on Lake Weissensee, ski mountaineering, and a lot more. Welcome to a culinary experience at Landgasthof Simeter! The meals we offer are prepared of our own (and other Carinthian) top-quality farm produce. Several international awards ensure a memorable culinary experience! We are happy to host all kinds of seminars and conventions.